In the 1980s the Army transformed from the Combat Arms Regimental System to the Army Regimental System, thereby insuring that every battalion in the Army is connected to a regiment. The Army decided that special appointees of Army retired personnel was a must to serve as Honorary Colonel and Honorary Sergeant Major of the regiments. The primary mission of the special appointees is to perpetuate the history and traditions of the regiment, thereby enhancing unit morale and esprit. The Honorary Colonel and Sergeant Major of the 14th FA Regiment is COL (R) Roger L. Bernardi and CSM (R) D.R. (Bob) Hamilton. COL (R) Bernardi commanded the 6th Bn, 1978-80 and CSM(R) Hamilton was the 6th Bn CSM 1984-86. 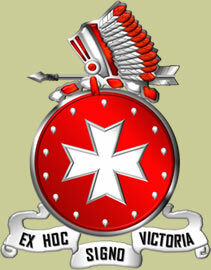 The Army regulation also provides that the lowest number battalion on active duty shall also be the regimental headquarters for the regiment. In our case, the 1st Bn, 14th FA is the regimental headquarters and provides the link to the other five battalions that were at various times all sister battalions. The 1st battalion and the 6th battalion fought in the Vietnam war and during that time our sister battalions(2d through the 5th) were on active duty in various parts of the world defending freedom. 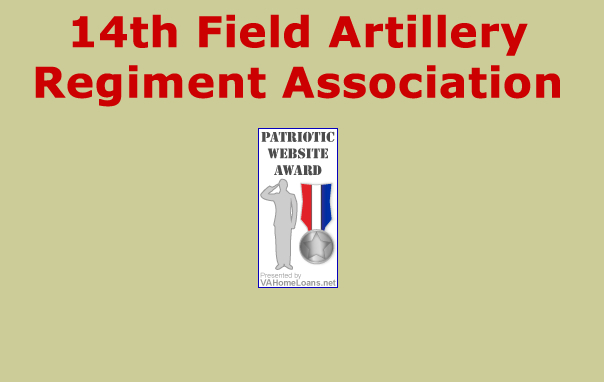 Regardless of which battalion one served in, you were part of the 14th Field Artillery Regiment. This association goals are the same; to preserve the history of the Regiment and to reunite all that served under the Regimental flag. 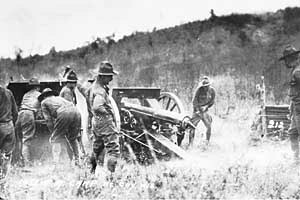 Photo found in Camp McCoy Archives: "Members of the 14th Artillery, Fort Sheridan, Illinois practice with their weapons located on South Post in the late 1920s."